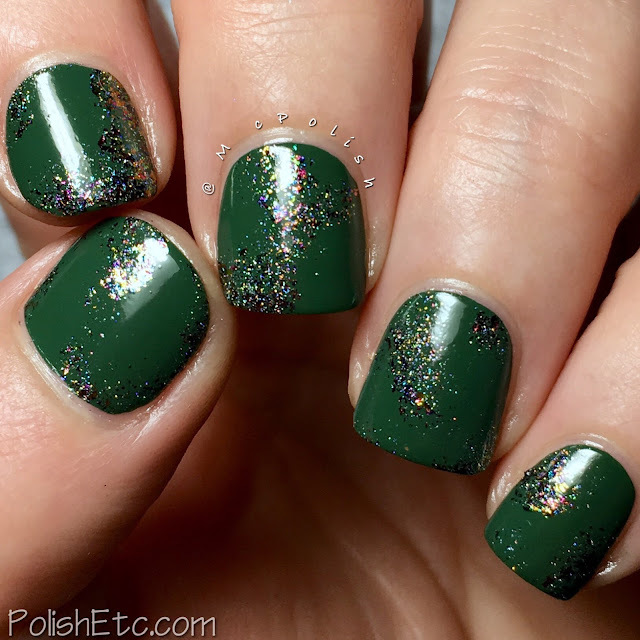 Green Nails for the #31DC2018Weekly - Polish Etc. Sorry for the short absence, I was on vacation. Saw some good friends, saw some good music, broke a bunch of nails. I feel like I can never make through the airport without breaking a corner off a nail. Oh well...they grow back fast. 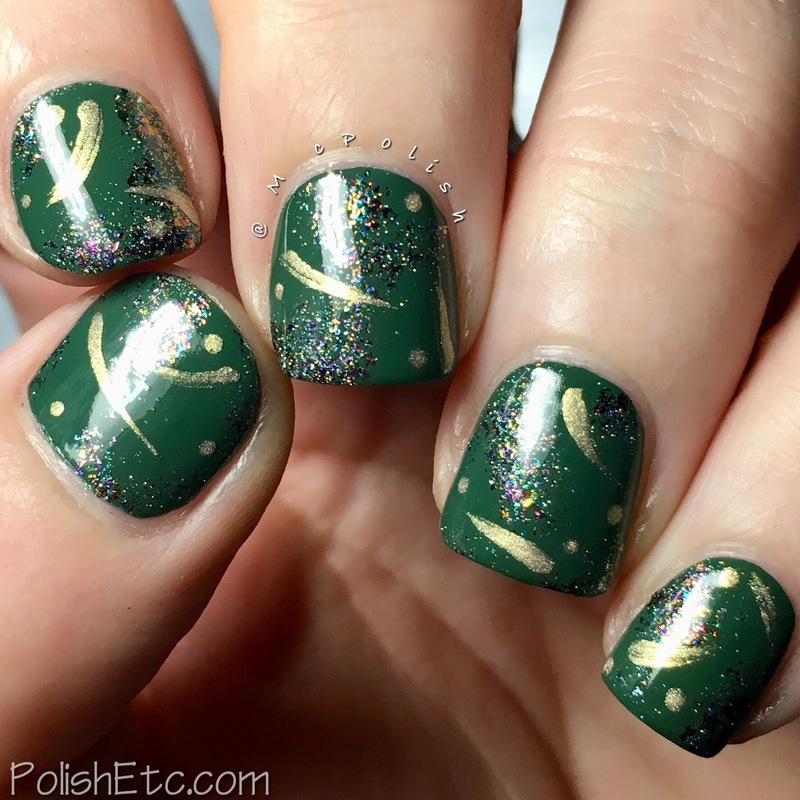 But let's get back to the nail art! 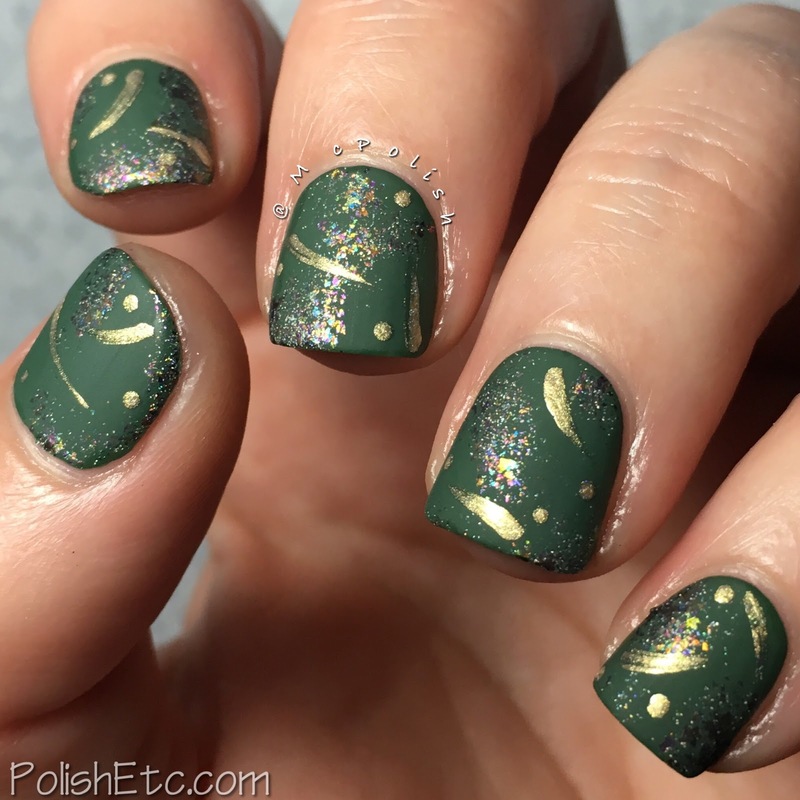 I did a simple 'Matte All the Flakies!' 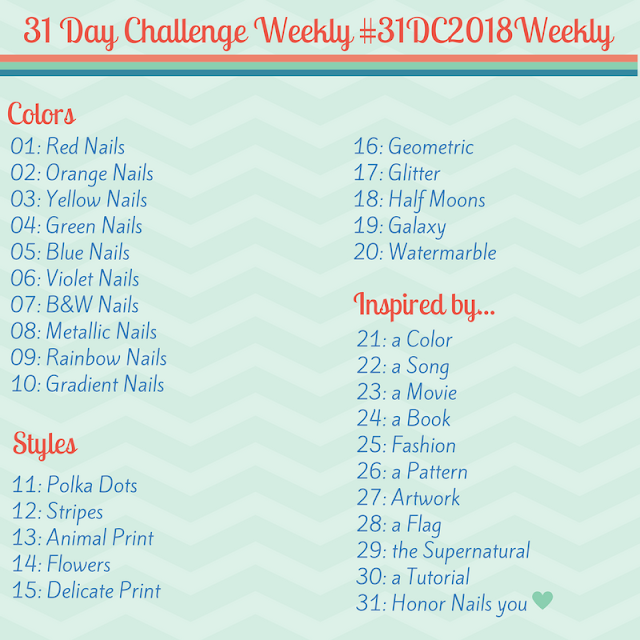 manicure for this week's prompt. I did this mani with both glossy and matte top coats as per usual, but the matte photos are always better. In my opinion. Let's take a look! My base is a dark green creme from Marc Jacobs called "Jungle" which was opaque in just two coats. I lightly sponged on Glitter Daze "Forbidden Fairy Dust" in a random pattern on each nail. Then I added a matte top coat from KBShimmer before randomly swiping and dotting on a gold metallic. I like both manicures before the random gold swipes and with the gold swipes. I couldn't decide which I liked better, so I am going to share both looks with you. The gold adds a little more movement to the design but it is pretty without them, too. Which do you prefer?